No matter if you can't eat gluten, are just trying to be a little bit healthier, or simply want to stay culturally relevant, chances are protein- and fiber-loaded quinoa is on your radar. Maybe it's even made its way into your pantry by now! But if it hasn't, it's time to get with it. The fluffy, versatile seeds are easy to add to just about anything, even cake and pizza. So here are six of my favorite indulgent quinoa recipes, with nary a dry or mealy one in the bunch. You definitely don't have to be a health nut to enjoy this stuff. These Healthy Dinners Take Less Than an Hour. You Have No Excuse. Rinse quinoa in a fine-mesh strainer with cool water for about 2 minutes; drain well. Don't skip this step! It removes the bitterness that quinoa naturally has. 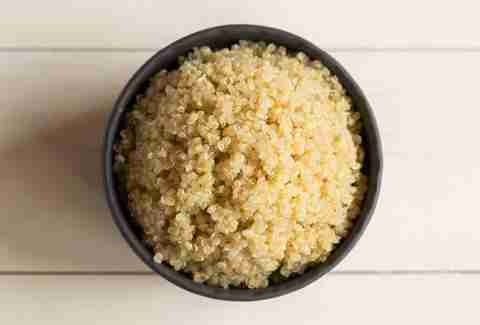 Combine rinsed quinoa and water in a 2-quart saucepan; bring to a boil. Reduce heat to low, cover, and simmer for 15 minutes. Fluff quinoa gently with a fork. Place hash browns in a large glass bowl and microwave for 3 minutes, until warm. Add the cooked quinoa and salt. Stir to combine. Preheat a large skillet on the stove over medium heat. Add oil and heat until it shimmers (about 1 minute). Scoop quinoa mixture with an ice cream scooper into the pan and smash it flat with a metal spatula. Make more patties to fill the skillet (without overcrowding). Cook until the undersides are golden brown, 3 to 5 minutes. Flip and cook 3 to 5 minutes more. Transfer to a paper-towel-lined plate. Repeat with the remaining mixture. 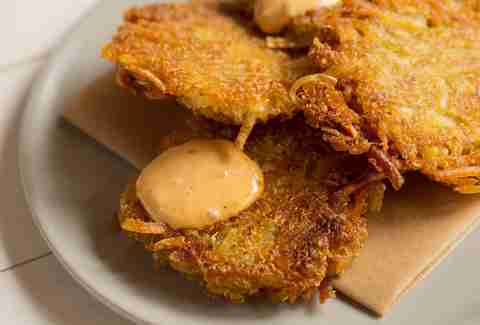 Serve with aioli, ketchup, or Sriracha mayo. Preheat the oven to 350℉. Grease a 9-by-13-inch pan; set aside. Combine quinoa, butter, eggs, milk, and vanilla in a blender or food processor and puree until completely smooth. Stop the machine as needed to scrape down the sides with a rubber spatula. It should be thick and creamy, with no beads of quinoa left. In a large mixing bowl, whisk together sugar, cocoa powder, baking powder, baking soda, and salt. Add the blender contents to the dry ingredients and stir until well combined. Pour batter into the pan and bake for 28-30 minutes, until a toothpick inserted comes out clean. Remove cake from the oven and let cool 10 minutes before inverting it onto a wire cooling rack. Let it cool completely before frosting. Place chocolate chips in a medium-size glass bowl. Heat the cream in a medium saucepan until it barely simmers. Pour the hot cream over the chocolate and let it sit for 5 minutes to melt. Whisk until chocolate is smooth and glossy. Refrigerate for 2 to 3 hours or until completely cool. 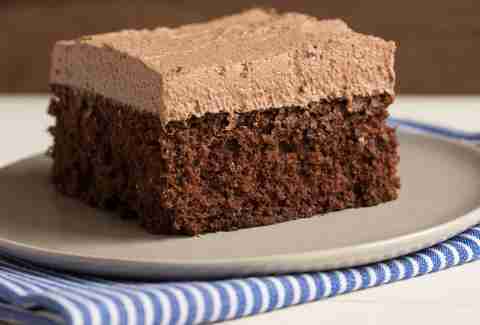 Once chilled, use an electric mixer to whip the chocolate cream into soft peaks. Scoop the frosting onto the cake and gently spread it across to the edge. In a mixing bowl, whisk together pumpkin, milk, and mustard. Add quinoa and cheese. Stir until combined. 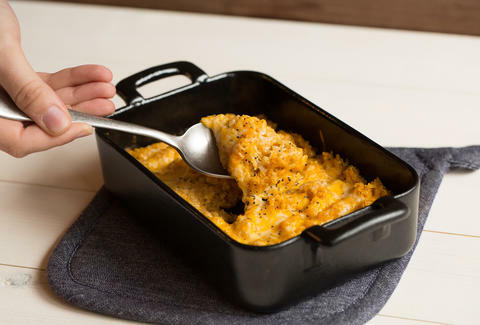 Spoon mac and cheese into greased ramekins or a small baking dish and bake for 25 to 30 minutes, until cheese is bubbling. Combine milk, sugar, vanilla, salt, and cinnamon in a medium saucepan and bring to a simmer over medium heat. Add quinoa; stir to combine. Reduce heat to medium-low and cook, stirring occasionally, for 30 minutes. Remove from heat and let cool to room temperature or chill it in the fridge for cold pudding. 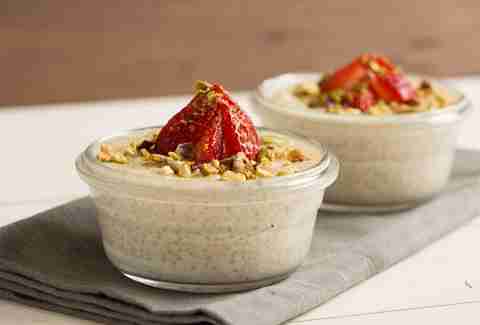 Spoon quinoa pudding into small bowls and top with strawberries and pistachios. Preheat oven to 425℉. Line a baking sheet with parchment paper or grease it with cooking spray. In a large mixing bowl, combine quinoa and mozzarella. In a small bowl, whisk together the eggs, garlic salt, Italian seasoning, olive oil, and baking powder. Add the egg mixture to the quinoa. Stir until well combined. 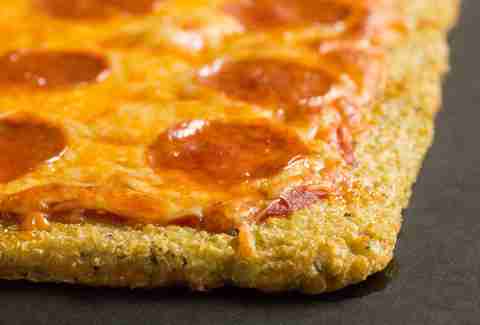 Spread the quinoa mixture into a ¼-inch slab on the baking sheet. Bake for 18 to 20 minutes, until the edges begin to brown. Top the crust with toppings of choice and return pizza to the oven for 5 minutes. Let cool for 5 minutes before slicing. Combine chocolate chips, peanut butter, Nutella, cocoa powder, and honey in a saucepan over low heat. Stir until combined and smooth. Transfer to a large mixing bowl. Add quinoa and oats; mix until combined. Scoop tablespoons of the mixture and roll them into balls with your hand. 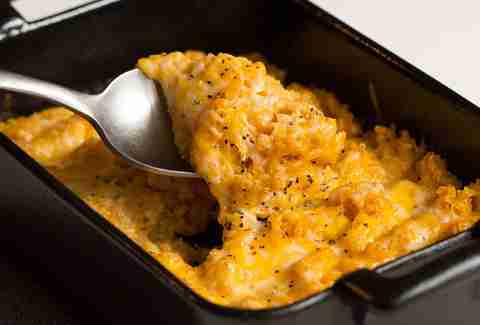 Place on a baking sheet and cool in the refrigerator for 1 hour. Melt chocolate in a double boiler until smooth. 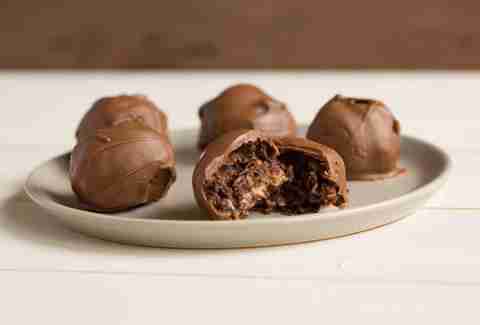 Remove the chocolate balls from the fridge and dunk them in the melted chocolate. Place them on a wire rack to set.